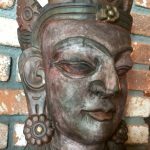 Categories: Hand Made Paper Journal Books, Tibetan Crafts. 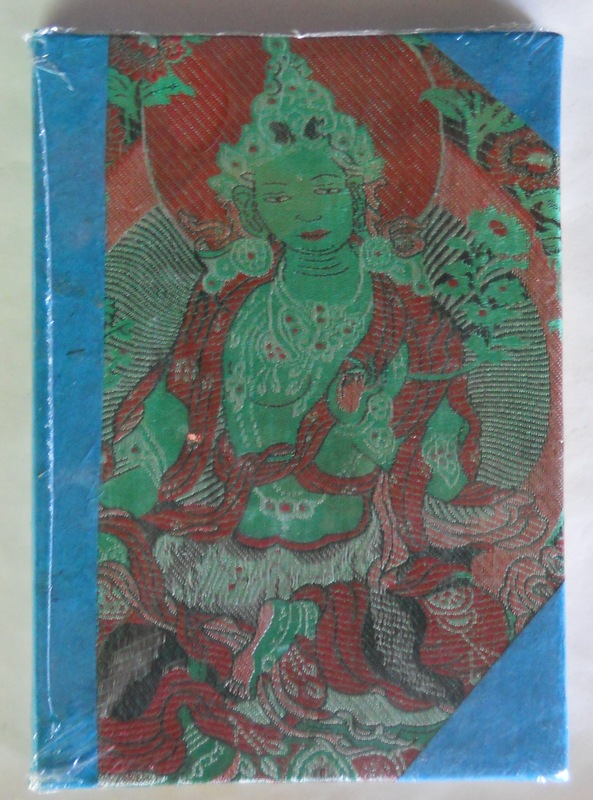 Tags: Himalayan handmade paper, Tara Journal, Tibetan Journal. 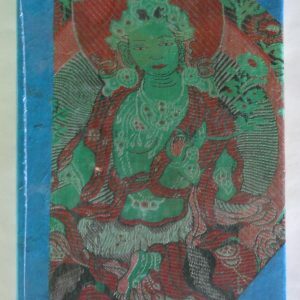 Beautiful artistic handmade paper journal with Woven Tibetan Tara Goddess Design in center. 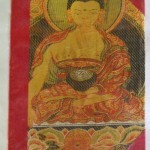 Tara Image is actually woven into journal cover. 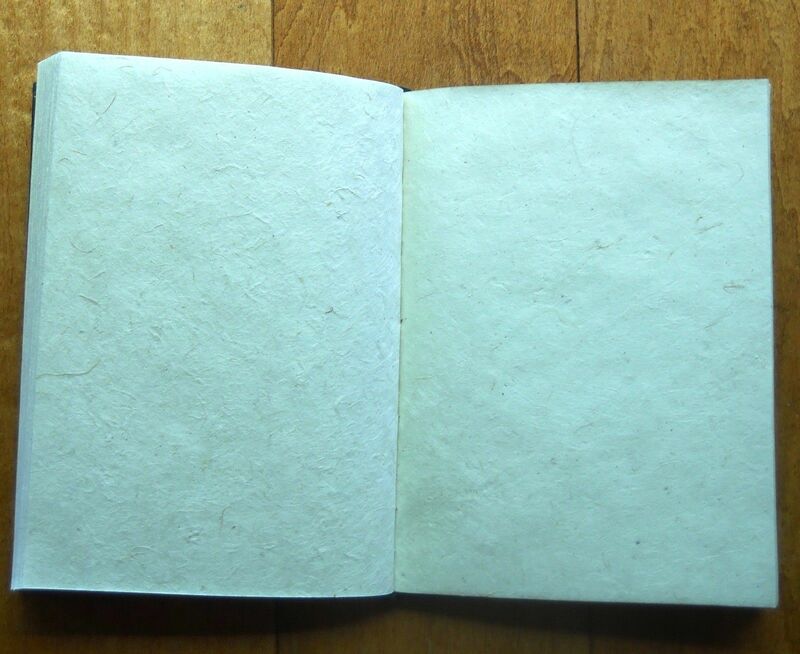 Journal measures 5.5 X 8″ with a thickness of one inch. Inside you will find 32 pages of thick parchment style art paper for writing, drawing, or collage. Padded to make it soft to touch. We have many colors in stock. 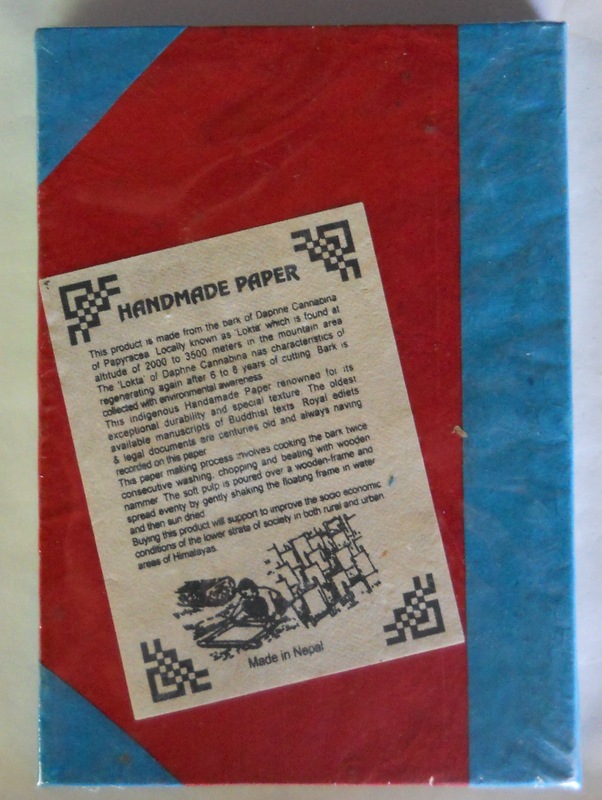 Please check our other ebay listings.It’s paper is from the ancient traditions of paper making in Nepal. There are no chemicals or artificial colors. 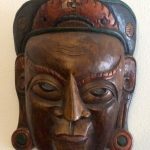 It is made from plant material hand pounded, washed in the mountain river and dried in the sun. The plant is called Lokta. It grows at an altitude of 7000 -9000 feet. Lokta plants are only pruned, not cut unlike wood pulp that can destroy forest. 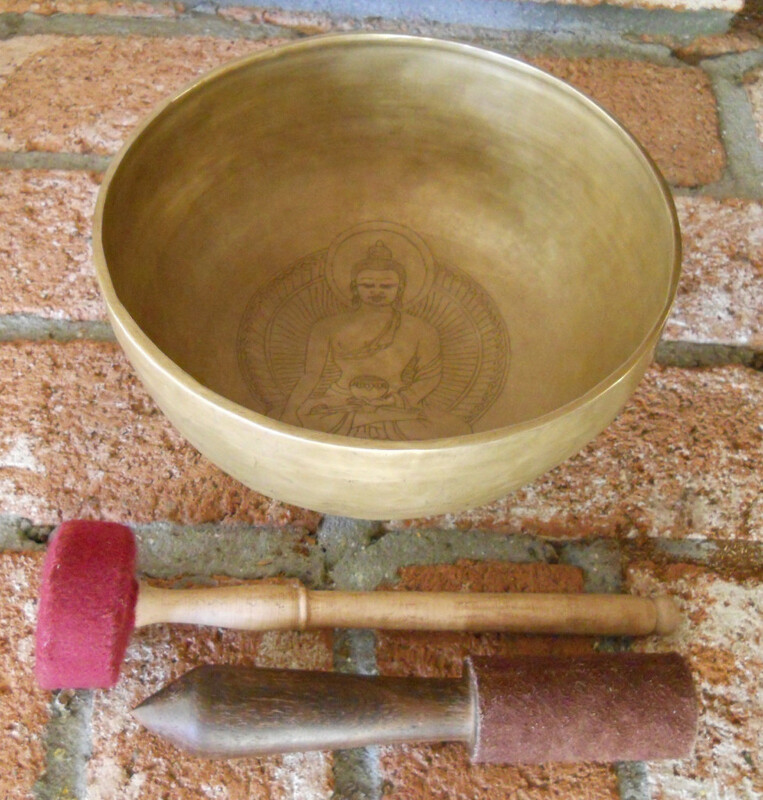 This product supports self sufficiency in small villages of the Himalayan Mountains. 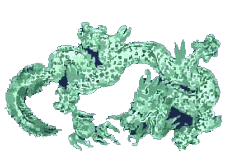 It is supporting many small family businesses and cottage industries at home.